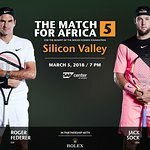 Tennis champion Roger Federer has launched a $3.3 million initiative to build schools in Malawi through his Roger Federer Foundation. AAIM is a non-governmental, national development organisation founded in Malawi in 1990. AAIM is based in South Africa and although a member of the international federation of over 40 national ActionAid organisations, AAIM decides and operates independently and is managed exclusively by local employees. AAIM concentrates on poverty reduction and is active within 14 districts in Malawi, having specialised in rural and remote areas in long-term programs. Among AAIM’s particular concerns are the integration of and shared responsibility with local communities. As a consulting organisation to the Malawian Government, AAIM makes the voice of this rather ostracised part of society heard in the country’s capital. To find out more about the Roger Federer Foundation, click here.